← Is The Future of Cars Electric? I have a friend who is the spitting image of Rory McIlroy. He spends much of his time on any night out trying to convince people he is not Rory McIlroy. Even in a backstreet kebab shop in a provincial town at 2am, as he spills garlic mayo down his shirt he will be asked if he is Rory McIlroy. It can be hard to make a name for yourself when you are constantly having to tell people what you are not. That issue is similarly faced by the BMW 4-Series, a car which has thus far spent its entire existence denying that it is the BMW 3-Series. The 4-series coupe is essentially the two-door version of the much-loved 3-Series coupe with better model delineation and greater exclusivity. It is a slimmed and optimised version of a traditional staple; it is like short-term car insurance – fast, effective, immediate and modern – to a traditional annual policy. In terms of distancing itself from its predecessor though, despite the inevitable connections, the 4-Series is already making strides to make a name of its own. For a start, the 4-Series is already considered to be much livelier than its predecessor, its improved steering and a lower centre of gravity helping it to bring more balance to the road alongside a more responsive suspension. The 4-series is also slightly lighter than the 3-Series, around 25kg so, and comes with a choice of six engines – all rear-wheel drive. Two petrol options are turbocharged 2.0 litre four cylinders giving 181bhp or 242bhp respectively, whilst the other is a 302bhp turbocharged 3.0 litre six cylinder. There are three diesel choices too; offering between 181 and 309bhp, and these are expected to prove more popular. In terms of future developments for the 4-Series BMW have already tabled a Hybrid version of the vehicle with a 340hp output 450 Nm of torque. 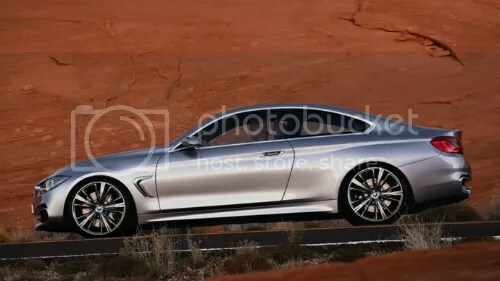 There had been rumors that the 4-Series Hybrid would be making a cameo appearance at the LA Auto Show at the end of November, but alas the new model appears to have suffered from stage-fright and failed to make it to the Los Angeles Convention Centre for the event, leaving us to twiddle our thumbs in anticipation of its arrival in the new year. 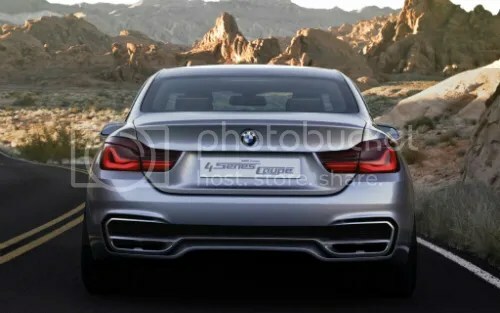 Posted on January 22, 2014, in ALL, Enthusiasts' Corner and tagged BMW 3 Series, BMW 4 Series, car design, engine specs, lightweight design. Bookmark the permalink. 1 Comment. Helpful info. Lucky me I found your site by chance, and I’m stunned why this accident didn’t happened earlier!